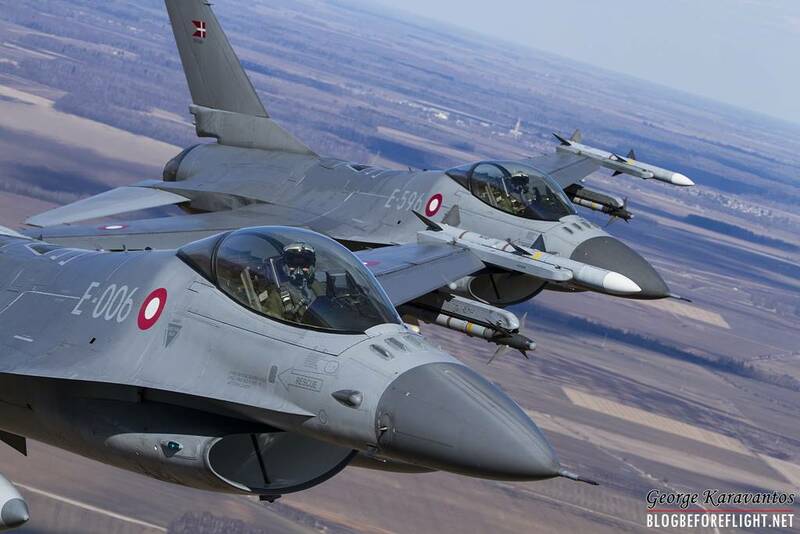 Allies and Partners are scheduled to conduct quick reaction drills in Baltic airspace with a focus on Latvia on April 17 and 18 providing training opportunities for regional air forces. Ramstein Alloy 2018-1 to take place over Latvia. The two-day exercise Ramstein Alloy 18-1 will see Allies Denmark, Italy, Lithuania, Latvia, Norway, Poland and the United States as well as Partners Finland and Sweden operating fighter jets, light fighter aircraft, a helicopter and a tanker aircraft that conduct multinational drills demonstrating NATO and Partner capability and interoperability. Participants will practice loss of communication, search and rescue and Air-to-Air Refuelling procedures and conduct air combat training. The flying assets will also be used to simulate Close Air Support for Latvian Joint Terminal Attack Controller teams at Adazi Training Range and may conduct so-called practice diversions to alternate airfields in the region. During the multinational exercise the flying activities will be controlled by Control and Reporting Centre at Karmelava, Lithuania, Control and Reporting Point at Ämari, Estonia, as well as airborne assets such as NATO and Royal Air Force airborne warning and control system (AWACS) planes and an Italian Conformal Airborne Early Warning (CAEW) jet. On behalf of NATO Allied Air Command, the Combined Air Operations Centre at Uedem, Germany, oversees this training event that has been conducted for more than ten years now. Regularly scheduled three times a year, it is a routine training event aimed at further honing skills of highly capable and flexible aircrews and controllers in the field of quick reaction tactics, techniques and procedures. RAMSTEIN ALLOY 18-1 specifically provides a venue for close cooperation and coordination with NATO Partners Finland and Sweden; both Partners’ aircraft take part in this exercise. The RAMSTEIN ALLOY series uses scenarios that could happen in any country around the world, when a civilian airliner loses contact with the air traffic control agencies and needs assistance from the QRA aircraft.